Surprisingly, it seems that there are many sports bettors who make their selections in much the same fashion as the multitude of people who select random numbers on their weekly lottery slips. Whilst the lottery player may opt for personal numbers such as their own birthday or that of their spouse with no thought given to the selections or the probability of winning, many sports bettors are likely to bet on their favourite team to win. Of course, sports bettors probably do not use their family’s birth dates or their car registration number to select bets, but you are surely acquainted with people who regularly stake money on their personal favourite team(s) to win, or perhaps you are one of these people yourself? I would make an educated guess that every football fan who has ever placed a football wager has at some stage in his gambling career bet on his favourite team to win a match. 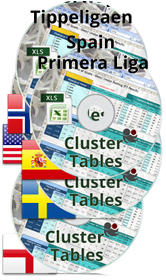 The bigger and most successful clubs in world football such as Real Madrid, Barcelona, Manchester United, and Bayern Munich have a worldwide following, numbering hundreds of millions of fans. Therefore, the chances are that you have probably placed a bet on one of these teams to win believing they are the favourites and will surely be victorious. Have they ever let you down though? How often have you watched a game involving one these superstar teams, which plays out completely against the form book? And you may have lost a lot of money betting on this game, not really understanding how such a strong favourite failed to beat a far weaker opponent. Don’t worry, you are not alone. Let’s face it, more often than not individuals choose a brand offering the greatest chances of success – It is human nature for people to wish to be associated with success and winning. 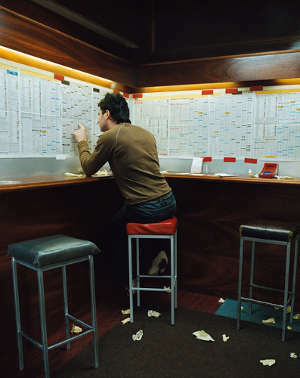 Bookmakers certainly know which teams enjoy high popularity and they can without doubt predict which teams the majority of bettors will stake their hard-earned money on, because they make a living from betting, relying on their customers’ ignorance and lack of understanding of probabilities. If certain teams in the public eye appear to be consistently successful then many football bettors are driven to believe that backing them regularly is a sure fire way of achieving profits. Indeed, why not follow the bookmakers’ suggestions to increase potential winnings by stacking these teams in accumulator bets? Long-term profits from accumulator bets are guaranteed – but only for the bookmakers, and not for the bettor! The world of football betting is absolutely not about being a fan of a team, or public perception of your team’s chances of winning. It is all about dry mathematics and probabilities, essentially the odds offered by a bookmaker or a betting exchange. Forget the teams involved in the match and look only at the odds and compare them with their true chances. Unfortunately, using gut feeling alone for selecting bets or, religiously selecting events at the highest odds, will never lead to long-term profits. I wonder if Antonio still has his success in betting in ante post markets without value. In last year I tried everything possible to create a sure-fire way to make money in betting, however the only way IS value betting. The question is how one can find the value. I have to tell you that in fact you can be successful in ante post markets WITHOUT betting value!!! Now I know that not only will you not believe me but you will think I’m an idiot for saying so. What I will ask you to do,however,is to try to work out how that could be true. Because I assure you that it is! “the reliability of results is better the more professional a league is”!? Im not quite sure what this means exactly but if it means what I think it means wouldn’t it be easier for bookies to accurately price up such markets?